What to look for when buying a used Chrysler 200? The Chrysler 200 is a midsized four-door sedan that entered the market in the 2011 model year and continued to 2017. It was sold through two generations and is most well known for its upscale appeal and well-designed daily driver metrics. The 200 was powered by either a four-cylinder or six-cylinder engine. The first-generation Chrysler 200 debuted for the 2011 model year as a rebadged Sebring, but with much more modern body styling and refined powertrain choices. It was mechanically related to the Mitsubishi Lancer and Dodge Avenger. The original four-cylinder engine offered was found throughout the Chrysler-Dodge lineup, but the Pentastar V6 was a new offering for the car and was mated to a six-speed automatic transmission. The second-generation Chrysler 200 came for the 2015 model year and was produced until the 2017 model year, at which time the 200 was discontinued. A new platform and new look was had for the 200 in this new generation, with an updated engine in the four-cylinder Tigershark and a new-generation engine in the V6 Pentastar. The 200 was built for both fuel economy and versatility as an upscale sedan in the midsize segment. Both generations of the Chrysler 200 had good reputations for safety and good fuel economy returns. Sales figures for the 200 have been steady throughout its lifespan. Most of the issues affecting Chrysler 200 models seem to happen under warranty. Engine electronics are most common, causing engine shut-down and stalling within the 20,000 mile point. Transmission failures due to faulty control modules are also relatively common. Most of these issues happen for the 2015 model year Chrysler 200. Used Chrysler 200 buyers should be aware of these problems, but know that otherwise the 200 enjoys a good reputation for general reliability. What is the average price for Used Chrysler 200? How many are for sale and priced below market? What Chrysler 200 model year and mileage can you get for your budget? 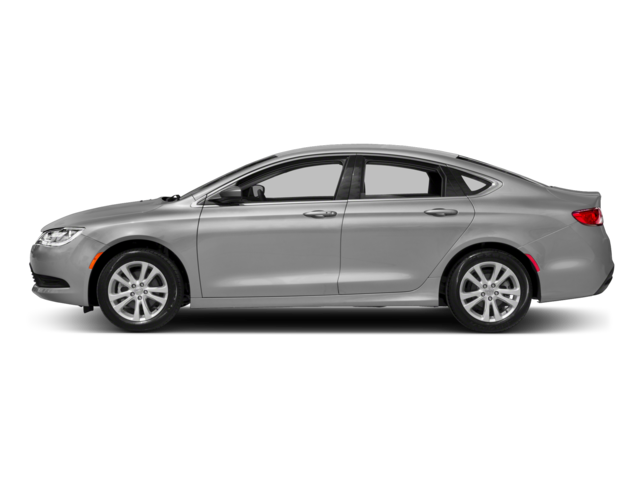 Where does used Chrysler 200 rank in comparison to competitor vehicles? What Is The Average Price Of A Used Chrysler 200 By Model Year? What Is The Average Price Of Competitor Cars To The Used Chrysler 200? What Is The Average Price Of Used Chrysler 200 In The Top 10 Cities? The 2016 Chrysler 200 carries on from the totally new 2015 model, with just a few changes in response to customer buying habits and requests. These changes are not key to the overall strengths of the Chrysler 200, which are significant. Most notable about the 2016 200 is its beautiful curb appeal and strong driving dynamic in its sportier renditions. Comfort-oriented options, though, also carry a lot to offer those who are more interested in road confidence than speed. In nearly all respects, the 2016 Chrysler 200 delivers a great choice to consumers shopping in the midsize sedan category. It has its downsides, of course, but no more than do its rivals. The midsize segment is one of the hottest markets in automotive right now and the 2016 200 is as competitive as any other. Compared to rivals, the 200 offers class and upscale appeal on several levels. The 2013 Chrysler 200 midsize sedan and convertible offer numerous features for the price. The convertible is spacious, compared to competitors, but the sedan has much tougher competition in rivals such as the redesigned 2013 Ford Fusion, Nissan Altima, and Honda Accord.